Uzal Wellington Ent, Brig. Gen. (Ret), 87, of Mechanicsburg died Friday, October 9, 2015, at Carlisle Hospital. Born December 31, 1927, in Sunbury, PA he was the son of the late William A. and Charlotte R. Ent. He lived his life by the Cadet Code - Duty, Honor, Country. After attending West Point as part of the class of 1950, he served in the Korean War. His awards included the Legion of Merit, three Bronze Stars (two for Valor and one for Meritorious Achievement), Meritorious Service Medal, Army Commendation Medal, two U.S. Presidential Unit Citations, one Korean Presidential Unit Citation and the Pennsylvania Distinguished Service Medal. Uzal joined the 28th Division of the Pennsylvania National Guard December 1953. He retired as a Full Colonel November 1980 and then was promoted to Brigadier General in retirement. In retirement, Uzal was a prolific writer of Military History and authored several books. He was also a talented artist. Uzal was preceded in death by his devoted brother John W. Ent. Surviving are his son, Michael R. Ent, of Camp Hill; grandsons, Michael R. Ent Jr. and wife Carrie Beth Ent, John R. Ent; great grandson, Isaac Huxley Ent and nieces and nephew. Uzal was known for his honesty, honor and dependability and sense of humor. He always did is best and never gave up even in the face of failure. He will be greatly missed by all that knew him. Charles Hoey Bell, III, of Mount Pleasant, SC, husband of Lea Mortensen Bell, passed on June 13th 2017 at age 90 after a long illness and is now at peace. Charles was born in Parkersburg, WV on March 24, 1927 to the late Charles H. Bell, II and Helen Cramer. After graduating from West Point class of 1950, Charlie served in the 11th Airborne Division during the Korean War. Charlie always treasured the values he developed at West Point which helped him throughout his life. After resigning from the Army in 1955,Charlie went to work at WPAFB in Dayton, Ohio; then joined the engineering team withAMF's Government Products Group in Greenwich, Ct; then became VP of Dortech in Stamford, Ct; then Senior VP at Seaboard World Airline at JFK in New York; he then joined The Aviation Group in Raleigh, NC and became President/Vice Chairman of Orion Air; He was the founder, President and CEO of Triad International Maintenance Corporation (TIMCO) in Greensboro, NC which became one of the largest and most successful independent aircraft maintenance companies in the world. Charlie was known to be a tough but fair businessman with honesty, integrity and who realized the importance of people. Charlie was a wonderful husband, father, grandfather and friend. He was a kind hearted, caring and generous man, a true gentlemen. Charlie was an avid sportsman and champion in handball & racquetball, and loved dancing with his wife Lea. He is survived by his loving wife Lea Bell of over 50 years, son Charles E. Bell (Andrea) of Mount Pleasant, SC and his daughter Pia Ford of Kill Devils Hill, NC and 6 grandchildren Sierra, Lexi, Luke, Carson, Molly and Floyd. A special thank you to our wonderful caregivers Angel, Sarah, Ann, Lana & Edna. Brigadier General (retired) Edwin Lyle Kennedy was born on August 6, 1927, in Waynesboro, Mississippi to Enoch and Eddye (Huggins) Kennedy. His early childhood was spent in Waynesboro but during the Great Depression his father's job as a State Highway Engineer took them to several locations throughout the state. In 1940, the family settled in Gulfport. Mississippi where BrigGen Kennedy attended high school through the 11th grade. After his father was commissioned in the Army Corps of Engineers during WWII, BrigGen Kennedy completed his high school education at Marion Military Institute. In 1945, BrigGen Kennedy served in the US Navy until he received an appointment to the United States Military Academy at West Point. Upon graduating from West Point in 1950, he was commissioned as a Second Lieutenant and sent to Korea as a platoon leader in the 15th Infantry Regiment, 3rd Infantry Division. For his service in Korea, Lt Kennedy was awarded two Silver Stars, three Bronze Stars (with "Valor" device), and a Purple Heart Medal among other awards. Returning stateside in 1951, Lt Kennedy was first stationed at Fort Jackson, SC where he met his future wife, Dolly Dean Beard. Their military travels took them to assignments around the world, first of which was Ankara Turkey, where the couple's first two children, Edwin Jr and Catherine, were born. Some years later while stationed at West Point, their third child, David, was born. In 1965, he was promoted to Lt Colonel and was selected for the British Joint Services Staff College where, upon graduating, commanded an infantry battalion in the US Berlin Brigade. After his tour in Berlin, Lt Col Kennedy was selected for the US War College at Carlisle, PA. From there, Lt Col Kennedy served an extended tour of duty in Vietnam where he commanded the largest Army combat brigade, the 196th Light Infantry Brigade and was subsequently promoted to colonel. He returned to the US to command the 197th Infantry Brigade at Fort Benning, GA followed by an assignment to serve in the Army's Senate Liaison Office in Washington, DC. It was during his tenure as a Senate Liaison Officer that Col. Kennedy was promoted to Brigadier General. BrigGen Kennedy was then assigned as an assistant division commander of the 25th Infantry Division at Schofield Barracks, Hawaii. After his two-year assignment. he went on to Camp Zama, Japan for his final military service as Chief of Staff, US Army Japan for three years. At the conclusion of his military service he had been awarded the Distinguished Service Medal (highest peacetime military award), two Distinguished Flying Crosses, two Silver Stars, seven Bronze Stars (Valor), and a Purple Heart Medal. After 30 years of distinguished military service, BrigGen and Mrs. Kennedy moved to Sarasota in 1979 where BrigGen Kennedy worked as the Vice President of Construction for a local development company. He continued to enjoy his hobby from childhood, fishing, as well as playing golf. In 2009, BrigGen Kennedy was awarded the Order of St. Maurice for his outstanding contributions to the Army's Infantry Branch by General David Petraeus. Throughout his career as a military officer, BrigGen Kennedy never lost sight of the most important part of his life, his family. He adored Dolly and was a devoted father to his children providing them a unique opportunity to travel the world. Until his passing, BrigGen Kennedy lived in the Oaks with his devoted son, golfing companion, and avid sports fan, David. It is great comfort to his family knowing that BrigGen Kennedy has joined his wife Dolly. and their second child, Catherine, in Heaven. Edwin is survived by his two sons. LtCol (Ret) Edwin L. Kennedy (Christine) of New Market, Alabama, and David B. Kennedy of Osprey, FL, grandsons Justin, David, and Geoffrey and their children, his youngest brother, Dr. William R. Kennedy (Susan) of Sarasota, and numerous nieces and nephews. A memorial service will be conducted in Sarasota at the Toale Brothers Funeral Home, Gulf Gate Chapel, Wednesday. January 18, 017 at 2:30 p.m. with viewing and visitation at 1:30 p.m. Pastor Eric Want of Freedom Christian Church will be officiating. In lieu of flowers, donations may be made to: Freedom Christian Church of Sarasota, 4835 Beneva Road, Sarasota, Florida 34233; Methodist Children's Homes, Morrow Administrative Center Post Office Box 66 Clinton, Mississippi 39060-0066; The Humane Society of Sarasota County, 2331 15th Street Sarasota, Florida 34237. Edward Martin Pierce was born in Indiana, PA in 1928. He was the middle son of Attorney William Elliott Pierce and Edna Todd Bell. In his high school, he was active in sports and music. He also enjoyed hunting and fishing. Ed graduated from Indiana High School in 1946 and went straight to West Point. 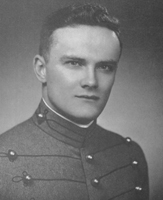 While at West Point, he participated in sports (Lacrosse, Swimming) and he played the trombone in the band (he described himself as the “slush pumper extraordinaire”). During his 26 years in the Army, he served in both Korea and Vietnam. He was awarded the Silver and Bronze Stars and a Purple Heart. He also served as an Attaché to the former country of Yugoslavia in the 1960’s. Ed was in the Infantry. He was also a Ranger and a paratrooper. He was assigned to the Office of Management and Budgeting at the Pentagon in 1968. He was still serving in that position when he retired as a Colonel in 1976. Ed and his wife Lee moved 20 times during their 61 year marriage. 17 of those moves were while they were in the military. Amazingly, all four of their children went to the same high school in Northern Virginia, even while Ed was still on active duty. That must be a record for four Army brats! While in the Army, he completed a doctoral program in Business Administration. After his retirement from the Army, Ed became a college professor of Finance and Economics. Ed taught at American University, George Mason and eventually Nova Southeastern University in Southern Florida. The teaching position with Nova took Ed and Lee to Davie, Florida where they lived for 25 years. He retired from teaching in 2000. Ed and Lee enjoyed their beautiful home in Florida for many years. Ed enjoyed golf, skiing, and gardening. He taught himself how to windsurf at the age of 60. His motto was, “anything my kids can do, I can do”. He was known for his sense of humor and his winning smile. In August 2015, Ed and Lee moved to Aurora, Colorado to be closer to family. Ed was a 23-year colon cancer survivor and a 15-year prostate cancer survivor. The complications from the prostate cancer eventually caused his health to decline and led to his death. Since the start of his decline in 2012, he faced every surgery and every medical obstacle with grace, humor, and determination. He died at age 87 in his home in Aurora, CO, surrounded by his family. Lee is currently in Aurora, Colorado and enjoys the social life at the assisted living facility where she lives. She also enjoys seeing her four children and nine grandchildren, as they often pass through Aurora on the way to the family vacation home in Steamboat Springs, Colorado. She rides her tricycle on a regular basis. Ed is also survived by his children, Lynn Whitlock (an attorney in California), Nancy Reid (a CPA in Colorado), Ed Pierce Jr (a project manager in Leesburg, VA) and Kathy Schlimm (USMA class of 1987, currently residing in Missouri). He is also survived by nine grandchildren and one brother, Robert Pierce of Oberlin, OH. There is an online obituary for Ed at newcomerdenver.com. Condolences can be written at the online site or sent to Lee Pierce at 2670 S Abilene St, Apt. 123, Aurora, CO 80014. Albert John Fern Jr. was born in San Diego, CA, the son of Albert John Fern Sr. and Dora Frances Fern. He was a second generation San Diegan with a proud military heritage. His grandfather Arthur Fern served in the Army and is buried at Presidio National Cemetery at San Francisco. His father was a Navy lieutenant commander; and his brother Paul Arthur Fern was a Navy lieutenant, who was killed in action in 1943 at age 27 while serving in the Pacific Theater during World War II. Al attended San Diego High School, excelling in sports: quarterback of the JV football team, top in his weight class on the high school wrestling challenge board and annual medalist in the Southern California Interscholastic Federation Championships (SCIF). He won an individual championship, co-captained his team to the SCIF Team Championship and earned the title of all-time individual wrestling champion in 1945. Al also demonstrated writing talent, serving as both a columnist and editor of the high school’s award-winning newspaper, theRuss. Writing was a skill he may have inherited from his uncle Charles Fern, an aviation pioneer who was editor and publisher of the Garden Island newspaper in Hawaii. After graduating from high school, Al attended Boyden’s Prep School in San Diego and earned an at-large appointment to West Point for merit due to his cumulative performance in academics, athletics, and extra-curricular activities. Al was a hard-working West Point cadet and a conscientious student who continued to excel in athletics. He was captain of the Academy’s intercollegiate wrestling team and achieved the rank of first sergeant of A-2 (affectionately known as “Runt Company”). He graduated in June 1950 and was commissioned a second lieutenant in the U.S. Army as a member of a unique and distinguished class of peers. Nineteen days after graduation, on June 25, 1950, the Korean War broke out while Al was still on graduation leave. He was called off leave early and assigned to the Second Infantry Division at Fort Lewis, WA. He served as an infantry platoon leader with his unit, which was among the first deployed to Korea. Al fought valiantly in Korea, along with many of his classmates, and carried out his duties with bravery and distinction. He earned numerous combat awards and decorations, including the Silver Star Medal for valor, the Bronze Star and two Purple Hearts. Of his 670 fellow graduates from the class of 1950, 41 died in the Korean War and one was captured. Despite the devastating loss of cherished classmates who gave their lives defending people they didn’t know in a land they’d never seen, Al never lost sight of the fact that these precious sacrifices made possible the ultimate victory and triumphant outcome of freedom. After returning from Korea (and promotion to first lieutenant), Al met and married Joan Eleanor Conn at the Presidio in San Francisco. He then trained to fly fixed-wing aircraft and helicopters and continued his service at home and abroad with a tour in Germany and two tours in Vietnam. He achieved the rank of colonel by his second Vietnam tour and commanded roughly 2,000 men in an Aviation Brigade that engaged in daily combat and supported the 101st Airborne Division in Southeast Asia. Throughout his career, Al earned rank and respect as an Army aviator and leader. His assignments included posts at West Point, the Naval War College in Newport, RI, the Pentagon and many others, serving everywhere with dedication and distinction. In addition to those named above, his awards included the Combat Infantry Badge, the Distinguished Flying Cross, the Vietnamese Cross for Gallantry, more than 24 Air Medals and numerous Legions of Merit awards. After his final post as Chief of Staff, Headquarters, Combat Development Experimental Center at Fort Ord, CA, Al retired from active duty in 1979 as a full colonel. He went on to work for Science Applications and General Dynamics and retired in 1991 from civilian work in San Diego. He remained there, living in his family’s longtime home in Mission Hills until age 84. After suffering a stroke in 2012, Al moved to Austin, TX to be near his daughters Catherine Franklin and Charlene (Charlie) Fern. He remained in Austin until his death in November 2013 at age 86. Al was interred at Fort Rosecrans National Cemetery in San Diego, CA, close to his brother, father, and mother. He is survived by his son, Paul, and daughters: Susan, Catherine, and Charlene. Al is remembered as a man of keen wit, strong faith, and inherent leadership. He was an avid sportsman and outdoorsman who loved hunting, fishing, camping, travel, golf, tennis, music and the occasional afternoon nap. What Al held closest to his heart - beyond his family and four children - were three words: Duty, Honor, Country. These words were more than an ideal, they were a way of life, which stood upon the bedrock of an abiding faith in God. He attended Point Loma Community Presbyterian Church, where his parents were founding members, and he steadfastly held to his beliefs, which brought him peace and comfort in the final years of his life. For those who knew and loved Al, his life story is far bigger and brighter, far more meaningful than words printed on service ledgers and more powerful than dramatic accounts of military history. It is the timeless classic which tells us that in the end the hero may die, but the story lives on forever. Louis Frederick Dixon was born in Wilkes-Barre, PA, the son of Jesse and Elizabeth Garney Dixon. Growing up, he led a very dynamic and active life. He was very involved in the Boy Scouts of America, achieving the rank of Eagle Scout. At Elmer L. Myers High School, he was on the wrestling, gymnastics, rifle, track and field teams as well as being in the school band. During that time, he courted his high school sweetheart, Elaine Diterick, who would become his wife and life­long companion. Upon graduation, the overwhelming majority of the Class of 1950 went to war in Korea. Lou’s first troop assignment, after completion of officer entry training, was as a platoon leader in combat with the 51st Signal Battalion in Korea. As a Signal Corps officer, he was involved in five battle campaigns in Korea, one in which he sustained severe per­manent injury to his knee. Upon Lou’s return from the war zone, he was assigned to Ft. Monmouth, NJ, as a tactical officer and com­pany commander in the Signal Corps Officer Candidate School and later as a member of the Signal Corps Board. Lou was transferred to Europe in the summer of 1956, following a year at Rutgers University studying writing and two years at Harvard Graduate School of Business Administration earning his master’s de­gree. There he served as a Branch Chief and Comptroller in the Signal Division of Headquarters, U.S. Army Europe, and Signal Command, Europe. Reassignment back to the United States in 1959, returned Lou to his alma mater, where he made lasting contributions as the Chief of the Management and ADP Divisions and as assistant comptroller of West Point. Dur­ing this assignment he was a co-developer of West Point’s management instruction and in­strumental in the evolution of the Academy’s computer program. After completing Air­borne School, Lou attended the Command and General Staff College, Ft. Leavenworth, KS, in August 1963. Upon graduation, he served for a brief period as executive officer of the 501st Signal Battalion, 101st Airborne Division, at Ft. Bragg, Ft. Benning, and Ft. Jackson. In December 1964, Lou was as­signed as a signal staff officer with the XVIII Airborne Corps at Ft. Bragg, NC. He later became commander of the 36th Signal Bat­talion, serving with that unit at both Ft. Bragg and in the Dominican Republic. In June 1966, Lou was reassigned to the Republic of Vietnam as the commander of the 73rd Signal Battalion and later as a senior staff officer with the 21st Signal Group and the 1st Signal Brigade. While in Vietnam, Lou was involved in two major battle cam­paigns. In August 1967, Lou returned to the United States and the Pentagon on the Department of the Army Staff in the Office of the Assistant Chief of Staff for Force Development, first as an action officer and ultimately as Chief of the Information and Data Systems Office. In July 1971, Lou was assigned to the Army War College as Director of Management Information Systems, Automatic Data Processing, and Audiovisual Instructional Technology Support Division. It was under his leadership that the television support to the War College grew from a small black and white capability into the Army’s best low-budget color television studio and closed- circuit system of that time. Lou’s awards included two Legions of Merit, two Bronze Stars, the Army Commendation Medal, two Purple Hearts plus numerous campaign medals for Korea, the Dominican Republic, and Vietnam, and the Parachute Badge. After retiring from the Army in 1977, Lou was an assistant professor of mathemat­ics and computer science at Shippensburg University, Decision Systems Group VP with MANDEX, Inc., and ran his own company, Applied Decision Systems, Inc., as well as consulting projects with former associates. He remained active in the Boy Scouts, receiv­ing their Silver Beaver Award, and DeMolay, receiving their Legion of Honor. Lou and Elaine moved to Melbourne, FL, in 1991 and enjoyed a more leisurely life, primarily playing golf and relaxing in their beautiful and well deserved new home and pool. Lou, not one to shy away from contributing his time and ex­pertise to community improvement, contin­ued to volunteer his time as a Florida master gardener, serving on various committees and being elected to the Board of Directors of their master homeowners association. Elaine, who meant so very, very much to Lou and his fam­ily, died in July 2006. Lou and Elaine were laid to rest at Arlington National Cemetery with full military honors on 20 Apr 2010. Lou was a great leader, innovator, and a wonderful, caring, charitable and accom­plished man. He was a loving, devoted, out­standing, and true husband, father, grandfa­ther, and friend who will be dearly missed so very much by all who knew and loved him (as will Elaine, his wife of 56 years). He is survived by his daughter Pamela (Sr. Systems Analyst, Washington Navy Yard), son Jeff (The Citadel 1981), granddaughter Megan (VCU 2003) and grandsons Jonathan (USNA 2011) and Stephen (USNA 2013). Daughter Valerie was tragically killed in a car accident in 1980 and has been dearly missed by her family ever since. COL and Mrs. Dixon, Mom and Dad, well done, and God rest your souls! We’ll see you on the other side of the enternal life. Brigadier General William Donald Curry Jr., of Minneapolis, MN, passed away on Apr 16, 2013, at Patriots Colony in Williamsburg, VA.
Bill was a member of the Class of 1950 at the United States Military Academy. Upon graduation he earned his Master of Science degree in International Relations from George Washington University and was a graduate of Squadron Officer School, Armed Forces Staff College and the Air War College. Bill was a command pilot with over 6,500 flying hours. His military decorations and awards included the Air Force Distinguished Service medal, Legion of Merit with oak leaf cluster, the Distinguished Flying Cross with two oak leaf clusters, Air Force Commendation with two oak leaf clusters, and the Army Commendation Medal. His Military career began during the Korean War, flying combat tours in the F-51 Mustangs. He spent his career as a pilot and flew combat missions as an F-4 Squadron Commander with the 366th Tactical Fighter Wing at Da Nang Airbase in Vietnam and as the Commander of the 354th Tactical Fighter Wing at Korat Air Base, Thailand, flying the A-7d Corsair II. From December 1958 to June 1966, he was a SAC B47 Aircraft Pilot and training instructor in the 341 Bomb Wing 10th Bomb Squadron, Davis-Monthan AFB in Arizona and the 100th Bomb Wing, Pease AFB in New Hampshire. Other assignments included a tour as Deputy Chief, Joint Chiefs of Staff Matters, Global Planes and Policy Division, Directorate of Planes, Headquarters U.S. Air Force, Vice Commander and Commander of the 354th Tactical Fighter Wing at Myrtle Beach Air Force Base, Assistant Deputy and Deputy Chief of Staff, Logistics, Headquarters Tactical Air Command; Commander of the 355th Tactical Fighter Wing; and Commander, Tactical Training Davis-Monthan, Davis-Monthan Air Force Base, AZ. 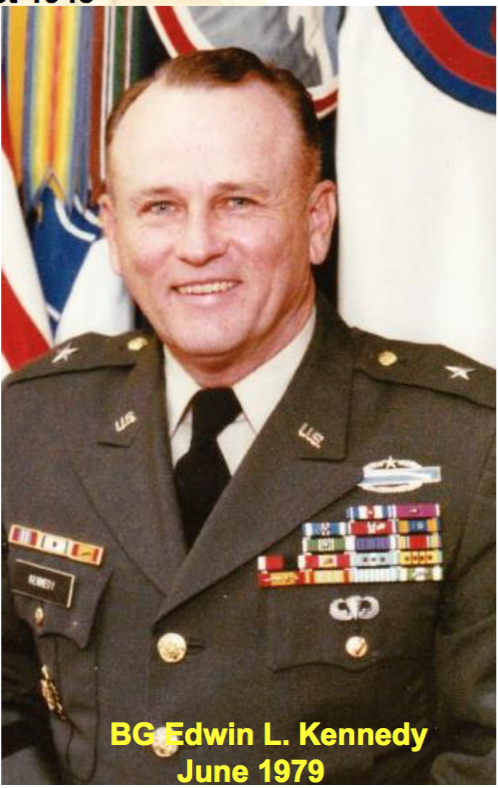 His final tour of duty was to command the Defense General Supply Center, Defense Logistics Agency in Richmond, VA, prior to his retirement in 1980. Bill considered his service of 32 years in the Air Force and the Army to be his calling and truly an honor. He continued to serve his community after his retirement as a charter member and president of the Brandermill Rotary Club in Richmond, VA, and a Board member of the Richmond United Way. He valued his associations working in leadership roles with the Rotary Club, the Air Force Association, and the West Point Society. Bill was the Chairman for the Disaster Services to the Red Cross of Virginia and was a Consultant to the American Red Cross in Washington, DC, providing disaster services and logistical support. Bill was able to use his skills and knowledge as well as his gifts and talents to support families devastated by natural disasters. Bill is survived by his wife of 62 years, Bettie B. Curry; his son William Donald "Chip" Curry III; his daughter Linda Curry Gaskins and son-in-law Kevin Gaskins; two granddaughters, Page and April Curry; grandson Kevin Curry Gaskins and wife Erica; and loving nieces and nephews as well as grand nieces and grand nephews. John Wesley "Jake" Allen Jr., was born on Sep 19, 1927, in Altoona, PA, to Margaret and John Allen. He grew up in Hollidaysburg, PA, with his two sisters, Peggy and Priscilla. During his high school years at Hollidaysburg High School he played basketball and was captain of the football team. He was elected class president his junior year and served as class vice president during his senior year. Upon graduation in December 1944, he enlisted in the Army. He attended Virginia Military Institute, Amherst College, and received his appointment to West Point. Jake entered the Academy in 1946 and quickly adjusted to cadet life. During his cadet years he played intramural golf and handball, was a member of the Russian Club, and served as the Hop Manager for all four years. An excerpt in his senior yearbook stated, "Jake Allen. The very name strikes fear in the hearts of all those who dabble in the pasteboards. But they are not alone—the Tactical and Academic Departments also quake at that name. Jake, the man of a thousand faces (Kings, Queens, and Jacks), is hereby voted the man most likely to upset all conventions and the only man who is reputed to have won Corporal stripes in a game of chance." He made many friends that he would hold dear throughout his lifetime. After graduating with his class in 1950, Jake was off to Ft. Benning, GA, for the Infantry Officer Basic Course. Upon completion he reported to his 1st assignment with the 3rd Armored Division at Ft. Knox, KY. While there, Jake returned to Hollidaysburg to marry Eloise Smith. He often spoke of the "one glance" in which they both knew they would have a life together. Although knowing each other growing up in the same town, it wasn’t until their college years that they really discovered their connection. He and Eloise spent the next forty-eight years together. They had a son, Robert, and a daughter, Diane. Robert and his wife, Gail Taylor, have a son, Lance, and two daughters, Stephanie and Lindsay. Diane and her husband, Colonel (Ret) Robert Myers, have a daughter, Kimberly, and a son, Robert. Jack also enjoyed spending time with his great-grandkids. From Ft. Knox, Jack was assigned to Far East Command Liaison Detachment, Korea. After initially serving as an advisor, he was reassigned to command the Tactical Liaison Office, an agent line crossing unit. He led approximately seventy-five missions dispatching and retrieving line crossing agents. He extended his tour and continued the same work on the island of Yodo. His subsequent assignments took him to Ft. Benning, Ft. Holabird, Ft. Leavenworth, Ft. Riley, and USAREUR’s V Corps Headquarters. Following his assignment in Europe he attended the University of Pennsylvania Wharton School where he received his master’s degree in business administration in 1967. His follow-on assignment was to the ODCA at the Department of the Army in Washington, DC. In 1969 he was assigned to the U.S. Military Assistance Command in Vietnam where he served in the J-3 office. After his tour in Vietnam he returned to the DC area where he was assigned to the Combat Development Command. His final assignment was as the Director of Evaluation with the Headquarters, CONFOR Group. Jack retired in 1972 as a lieutenant colonel after having served over 22 years of active duty. Lieutenant Colonel Allen graduated from the Command and General Staff Officer Course and received numerous awards including the Combat Infantry Badge, WWII Victory Medal, Vietnam Service Medal with four Bronze Star service stars, RVN Commendation Medal with 60 Device, Joint Service Commendation Medal and two Legions of Merit. He was a member of the Veterans of Foreign Wars, the Korean War Veterans Association, and a lifetime member of the Hollidaysburg American Legion. Upon retiring, Jack and Eloise resided in Arlington, VA. They took every opportunity to travel, stayed active with classmates in the area, and participated in all Class of ’50 events. Jack started his own paper company and worked hard when he wasn’t following the sport of kings. He sold his company in 1989 and made golf his full-time passion. When not on the links he watched his St. Louis Cardinals, Washington Wizards, and Washington Redskins. Eloise passed away in 2000. After a few more years in the DC area, Jack joined Diane and her family in San Antonio, TX, in 2005. Dad brought a great deal to our family as he participated in all family activities on a daily basis. From birthdays to vacations, holidays to dinners out, Dad never passed up the opportunity for a teaching moment. He spent every Thanksgiving with his son’s family, keeping all grandkids, spouses, and great-grandkids in awe of his general knowledge while playing Trivial Pursuit. Christmas was spent in San Antonio with Diane’s family, wowing the grandkids, spouses, and great-grandkids with his incredible memory of his childhood and his jokes of the day. Jack passed away while vacationing with Diane and her family in July 2010. His memory will live on for generations to come as we are reminded every day of things Dad said or did throughout his life. Very special to Dad was his ability to attend the 60th reunion of his class in May 2010. He will live on in our hearts forever. Nathaniel Ambrose “Nate” Gallagher was born Feb 22, 1927, in Malden, MA, the fourth child born to Dr. Nicholas and Anna Gallagher. After graduating from Malden High School, Nate entered the United States Military Academy, graduating in the Class of 1950. Nate married Eileen (Boe) Boehm in December 1950. Their son, Dr. Dale Gallagher, was born in 1952 with their daughter, Darra Das, joining the family in 1954. After living in Darien, CT, for 19 years, Boe and Nate moved to Chapel Hill, NC, in 1996. Sadly, Boe passed away in 1997, after losing her battle with cancer. Two years later, Nate was blessed anew by his marriage to another wonderful woman, Joan Haberer. It is no surprise that they met at a church function because Nate was a devout and practicing Catholic all his life. Gregarious by nature, there were times when Nate’s true character was masked because he invariably greeted people with a suitable quip or feigned mockery. Soon afterward however, that façade faded quickly as his true charming character shone through. Nate’s generosity and sociability were ever present and unmistakable. He was always ready to help and pitch in. Some insist that Nate was generous to a fault. His roommate recalls a time when Nate offered to help a classmate with a calculus problem, even though Nate knew little about solving the problem. Fortunately another classmate was able to assist both of them! Nate would readily admit that his closest lifelong friends were his fellow classmates. An enduring bond developed with several classmates and their wives. They shared a special camaraderie, humor, and genuine friendship on many alumni trips, dinners at the Army-Navy Club, and tail-gate gatherings. A personal favorite for Nate was having his friends visit Nate’s Broadview Farm in New Hampshire, property that his father had owned since he was a child. During his days at the Academy, Nate was a leader recognized by his peers. He was a cadet lieutenant and, more noteworthy, the Chairman of the prestigious Honor Committee-elected to that position by fellow Committee members, themselves cadets of notable integrity. Upon graduation in 1950, Nate chose to enter pilot training with the U.S. Air Force. His years at West Point, coupled with his time served in the Air Force, had a resounding influence on his life. Nate would comment that those experiences taught him to be honest, trustworthy, and reliable. Nate’s Air Force career focused primarily on aircrew duty, senior staff assignments, and Wing Command experience in the Strategic Air Command, with notable assignments in Southeast Asia during the Vietnam War. While at March AFB, Nate served through 1960 on aircrew and on the KC-97 and the B-47 in the 22nd Bomb Wing; he then held several staff assignments at 15th Air Force Headquarters until 1963. In 1964 Nate received his MBA in management from George Washington University. He served in the PACAF Headquarters during 1964-66. Nate volunteered for combat duty in Vietnam. Later, he had the opportunity to command the 8th Tactical Bomb Squadron, flying the B-57 out of Clark AFB, Philippines and Phan Rang AB, Vietnam, during 1966-67. His leadership and flying expertise were recognized with this tour, and Nate was awarded the Silver Star, five Distinguished Flying Crosses, the Bronze Star, fourteen Air Medals, and Presidential Unit citation. Nate had tours with Headquarters 13th Air Force, Clark AFB, the Office of the Director of Research and Development, Headquarters USAF, and the OJCS (J-5). Nate served as Commander of three SAC B-52 Wings during a turbulent period for the Air Force and had the distinction of commanding the largest number of B-52s in the history of SAC. He was the Commander of the 19th Bomb Wing, Robins AFB, Georgia; the 72nd Strategic Wing (provisional); and the 410th Bomb Wing at Anderson AFB, Guam during 1972-74. In 1974 Nate was the Wing Commander of the 10th Bomb Wing at K.I. Sawyer AFB in northern Michigan. Nate’s final assignment was Chief of Staff of the Military Committee at the United Nations during 1975-77. After 27 years of Military Service, Nate retired from the Air Force in 1977 with the rank of colonel. He then began a post-military career with Philip Morris as the Director of Corporate Security, which involved worldwide travel. After seven years, he retired from Philip Morris and then served a year on President Reagan’s Commission on Organized Crime until a final report was completed. Nate spent the next 15 years assisting his fellow Academy graduates with a placement service called Academy Graduates Executive Search, (AGES). Nate received many accolades for helping a large number of service members find meaningful employment after they retired from the military. Further, Nate remained very active in the Academy of Graduates (AOG). Nate served on the Board of Trustees (Class Trustee) from 1989-90, and he also served on several Alumni Support Committees of the AOG from 1989-05. Nate’s life portrays the illustrious career of a superb leader, courageous pilot, and devoted American. His unrelenting quest was to reach beyond the merely commonplace. He strived to be the very best that he could be. In this effort he never wavered. The words, “Duty, Honor, Country” meant more to Nate than a motto. They were a standard that he accepted, and it represented the way he lived his life. He always professed that “it was best to lead by example.” Nate was a highly decorated officer who made a difference. His services made an impact in a variety of significant and demanding Air Force assignments. To his family, he was the most loving and caring husband, father, grandfather, and step-father, and our warm memories of him and how he lived his life will help to sustain us in his absence. Col. Joseph Ross Franklin, PhD, USA (Ret), 84, of Pensacola, FL, died Wednesday, July 18, 2012 at home. Col. Franklin was born July 11, 1928 in Honolulu, Hawaii. He attended and graduated from U. S. Military Academy at West Point in 1950. Col. Franklin served in Korea, where he was wounded, and three tours of duty in Vietnam. He was a recipient of the Distinguished Service Cross, Silver Star and Purple Heart, retiring from the U. S. Army after thirty years of service. Col. Franklin received his PhD in Foreign Relations from the American University. He was a member of the Legion of Valor and an active member of Holy Spirit Catholic Church. He is survived by his wife, Nancy Franklin of Pensacola; son, Daniel Franklin of Pensacola; daughter, Jennifer Kellen and husband Joel of Corpus Christi, TX; granddaughter, Emmalee Noel Gough and sister, Dianne Payne. Inurnment will be held at 11:00 a.m. on Friday, August 03, 2012 at Barrancas National Cemetery with full military honors. In lieu of flowers memorial contributions may be made for Masses at Holy Spirit Catholic Church for our wounded veterans and active duty men and women. He received the Distinguished Service Cross because of his extraordinary heroism in Korea on the night of 6 July 1952. His platoon, occupying an outpost on a tactically important ridge, was subjected to an intense artillery and mortar bombardment immediately followed by a smashing hostile attack. With complete disregard for his personal safety, Lieutenant Franklin moved from position to position through heavy fire, encouraging his men and directing their efforts as they fought to hold back the charging enemy waves. Learning that the perimeter had been breached and that a number of enemy were in the outpost, he led a bayonet charge against the hostile troops. When the automatic rifles used by one of his men refused to function, he gave his carbine to the automatic rifleman, continuing to engage in the struggle with his pistol and grenades. As he led his men against the enemy, a hostile grenade hit him in the shoulder. Before the missile exploded, he pushed two comrades to the ground, enabling them to escape injury or death. When the first two friendly counterattacks failed to dislodge the foe, Lieutenant Franklin organized and led a third charge. Aggressively continuing to advance, even after the ammunition for his pistol had been expended, he killed three of the enemy with accurately hurled grenades. Under his leadership, his men succeeded in driving the hostile troops from the outpost and retained control of the tactically important position. The extraordinary heroism exhibited by Lieutenant Franklin throughout this action reflects great credit on himself and upholds the esteemed traditions of the military service. During his US Army career he has received 13 individual valor awards from the US Army and 5 from the government of Vietnam. He is the most decorated officer in his West Point class of 1950, receiving every award for valor awarded by the US Army except one. He commanded every unit from a Ranger platoon of 25 men to an airborne brigade of 7,000 men in 48 months of combat in two wars. He was wounded twice. In Vietnam, COL Franklin served as Battalion Commander of the 1/505 PIR 82nd Airborne Division, followed by assignments as 173rd Airborne Brigade Deputy Commander and SOG Deputy Chief. He is airborne and ranger qualified, as well as being a rated Army aviator. He was the deputy of the Peers Commission who investigated the My Lai massacre and was responsible for writing the report that went to the President of the United States and other senior officials. In the book of Pulitzer Prize winner Seymour Hirsh, COVER UP, about the Peers Commission Hirsh writes that General Peers called Colonel Franklin, â€œthe most qualified officer in the United States Army for the jobâ€, in testimony before a secret sub committee session of Congress. Franklin was given less than 12 hours to leave the Congo (Brazzaville), a communist oriented country, when the Prime Minister complained to the US ambassador about his alleged activities attempting to bring down the government. He is a member of the Legion of Valor, an organization of those who hold one of the two highest US awards for valor. He was a student at the French War College (Ecole Superiure de Guerre) in Paris for two years. This school is essential in the French Army to become a general. He was featured in a newspaper article for a charitable project he worked on in the mid ’80’s. Col Franklin, PhD (doctorate in African studies) lived in a Roman Catholic Monastery for seven years, 1995-2002. His principle duty in the monastery was raising funds through various business ventures for charitable purpose. He professed poverty, obedience and chastity in the monastery. He was a principal in a 60 Minutes documentary TV program where he was a protagonist against a senior officer he had relieved in combat who falsely accused him of war crimes. It was the longest segment produced to that time and won the Emmy award that year. CBS was sued for 60 million USD as a result of this program and Franklin was their principle witness. CBS won the suit, after an evidentiary dispute went to the US Supreme Court. The President of the United States of America, under the provisions of the Act of Congress approved July 9, 1918, takes pleasure in presenting the Distinguished Service Cross to First Lieutenant (Infantry) Joseph Ross Franklin (ASN: 0-62893), United States Army, for extraordinary heroism in connection with military operations against an armed enemy of the United Nations while serving as Platoon Leader with an Infantry Company of the 7th Infantry Regiment, 3d Infantry Division. First Lieutenant Franklin distinguished himself by extraordinary heroism in action against enemy aggressor forces in the vicinity of Sangwan-ni, Korea, on 6 July 1952. Late on that night, Lieutenant Franklin’s platoon, occupying an outpost position on a tactically important ridge, was subjected to an intense artillery and mortar bombardment immediately followed by a smashing hostile attack. With complete disregard for his personal safety, Lieutenant Franklin moved from position to position through heavy fire, encouraging his men and directing their efforts as they fought to hold back the charging enemy waves. Learning that the perimeter had been breached and that a number of the enemy were in the outpost, he led a bayonet charge against the hostile troops. When the automatic rifle used by one of his men refused to function, he gave his carbine to the automatic rifleman, continuing to engage in the struggle with his pistol and grenades. As he led his men against the enemy, a hostile grenade hit him in the shoulder. Before the missile exploded, he pushed two comrades to the ground, enabling them to escape injury or death. When the first two friendly counterattacks failed to dislodge the foe, Lieutenant Franklin organized and led a third charge. Aggressively continuing to advance, even after the ammunition for his pistol had been expended, he killed three of the enemy with accurately hurled grenades. Under his leadership, his men succeeded in driving the hostile troops from the outpost and retained control of the tactically important position. The extraordinary heroism exhibited by Lieutenant Franklin throughout this action reflects great credit upon himself and upholds the esteemed traditions of the military service. The President of the United States of America, authorized by Act of Congress July 9, 1918 (amended by an act of July 25, 1963), takes pleasure in presenting the Silver Star to Colonel (Infantry) Joseph Ross Franklin (ASN: 0-62893), United States Army, for gallantry in action on 25 May 1972, while serving as Senior Advisor, 21st Infantry Division, Army of the Republic of Vietnam. On this date during the campaign to clear Highway 13 to relieve An Loc, Colonel Franklin, on one of his frequent visits to the area of greatest enemy resistance, moved to the 1st Battalion, 32d Regiment. The battalion was the lead element facing two NVA battalions and was under intense automatic weapons, B-40 wire-guided missile, 122-mm. rocket and 120-mm mortar fire when he arrived. A rocket struck ten feet from him wounding the battalion advisor who had been directing air strikes against the enemy. Colonel Franklin without regard for his own safety under fire moved immediately to render first aid to the advisor until an ARVN medic arrived. He then took over direction of Air Strikes, remaining in an exposed position to best observe the nearby enemy fortifications and direct the strikes. After requesting a helicopter to evacuate the wounded advisor, he selected a landing zone and guided the helicopter’s approach. A few seconds after the aircraft touched down an enemy mortar impacted 15 feet from it. Remaining on the landing zone, exposed to the enemy fire, Colonel Franklin attempted to load a stretcher bearing an ARVN soldier onto the helicopter while it was ascending. As the aircraft rose from the landing zone, the helpless wounded ARVN soldier fell from the helicopter and would have been re-injured but Colonel Franklin caught him breaking his fall. He then moved the wounded soldier to a more secure area while intense mortar and rocket fire continued. Colonel Franklin’s conspicuous gallantry in action was in keeping with the highest traditions of the United States Army and reflects great credit upon himself and the military service. The President of the United States of America, authorized by Act of Congress, July 2, 1926, takes pleasure in presenting the Soldier’s Medal to Colonel (Infantry) Joseph Ross Franklin (ASN: 0-62893), United States Army, for heroism at the risk of life not involving conflict with an armed enemy. Colonel Franklin distinguished himself by heroic action on 16 April 1972, while serving as Senior Advisor, Advisory Team 51, United States Military Assistance Command, Republic of Vietnam. On this date, at approximately 1245 hours, an enemy 122-mm. rocket hit the Lai Khe ammunition dump containing seven hundred tons of artillery ammunition resulting in continuous series of up to 80 explosions per minute for several hours of 155-mm. shells which were hurled over 1,000 meters. Realizing the essentiality of preserving the POL point located 100 meters from the ammunition dump and vitally needed for relief of An Loc and support of friendly troops engaged against elements of three North Vietnamese Army divisions, Colonel Franklin voluntarily led a PA&E fire truck to the POL point despite the constantly exploding shells and fragments. Placing himself several feet between 100,000 gallons of POL behind a parapet he watched with fire fighting equipment for burning fragments around the POL. He was continually showered by shell fragments which covered the ground for literally thousands of square feet. Despite the imminent danger of one of the fragments or shells hitting the POL tanks which could have resulted in his being instantly incinerated, Colonel Franklin continued his fire watch until the explosion subsided and he was replaced by ARVN soldiers. Under fire resembling a heavy artillery concentration for several hours, Colonel Franklin’s heroic actions at great risk of loss of his own life helped preserve a vital POL point at a critical time in the battle for An Loc and contributed significantly to the results achieved. Colonel Franklin’s heroic actions were in keeping with the highest traditions of the military service and reflect great credit upon himself, his unit, and the United States Army. ROBERT REHM WERNER, age 88, of Chagrin Falls, Ohio, died May 6, 2014, after a brief illness. He was born June 1, 1925 to Minerva (Rehm) and Louis Wolf Werner and grew up in Yonkers, New York. He was their only child. His parents lived frugally on his dad's teaching salary so that the family could travel. By the time he graduated high school he had traveled with his parents to all the states (48 at the time), Canada, Mexico and Europe. He kept this love of travel to the final days of his life. In the last two years he traveled with one or another of his children to France, Italy, Scotland, Egypt, Turkey and Central America. Two months before he died he was zip lining in Honduras. After graduating high school he enlisted in the Army in 1943 and went to Europe with the 86th Infantry Division and was wounded in combat in Germany. He won an appointment to West Point (signed by General Eisenhower). Graduating in 1950, he was commissioned in the Corps of Engineers. He married his high school sweetheart, Leila (Wilson) Werner on June 7 at West Point following graduation. He made the Inchon Landing with the 62nd Engineer Construction Batallion in the Korean War, and later served in Japan, Germany/France, Greenland, and Korea again after the Pueblo Incident. In 1964 he was assigned to the Office of Chief of Engineers and returned for a second tour, focusing on water resources and environmental impact in planning. He held a Master of Science degree in Civil Engineering from Texas A & M, was a registered professional engineer in the state of Texas, and was awarded a PhD in Economics from South Dakota State University. He retired from the Army as a full Colonel in 1973, and wanting to test some of his ideas in civilian life, joined Dalton Dalton Little and Newport, consulting engineers, to head up their Planning and Environmental Systems Group. In 1982 he left Dalton and founded SEMCOR, Inc. a strategy consulting firm, and later SEMCOR, Europe. Throughout his life he was a good synthesizer, able to bring multiple disciplines and viewpoints to solve problems. Over his many decades he had a continuing interest in engineering, planning, strategy, peace and religion. His book, Designing Strategy: The Art of Scenario Analysis, 2010, reflected his vision and perspective. He was an avid tennis and Bridge player, and achieved Bronze Life Master in Bridge. After his children were grown, he became the patriarch of the family in the best sense of that word. He kept a far-flung family together through summer reunions, daughter winter getaways, guys' golf, holidays and adventures. Everyone willingly came not only because it was great fun, but because the Colonel said so. The interest, love and acceptance he consistently showed to each member of his large extended family made him a role model for all of us. He is survived by his loving wife, Leila of 63 years; his adoring children, Jacqueline Werner-Gavrin and her husband, Marc, Robert R. Werner, Jr. and his wife, Teri, Mary C. Smith and her husband, Chris and Judith L. Werner and her husband, Dan Borden; and his devoted grandchildren, Anneka, Elizabeth and Ari Werner-Gavrin; Suzanne Werner; Aaron and Kevin Smith; Paul, Garrett and Ryan Nugent. A Memorial Mass will be held at The Church of the Resurrection in Solon, Ohio on Monday, May 19 at 11:00 a.m. A Full Military Honors Funeral will be held at West Point on Tuesday, June 3 at 10:00 a.m. Memorial Gifts may be made to Covenant House, 461 Eighth Avenue, New York, NY, 10001. 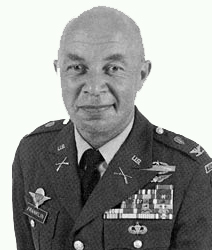 REGINALD THOMAS LOMBARD JR., 83, Colonel, U.S. Army (Retired), died peacefully in his sleep on March 18, 2011, in Scarborough. He was born on Labor Day, Sept. 7, 1927, at the State Street Hospital in Portland , the son of Dr. Reginald T. Lombard, and Dorothy Jewett Lombard. Reg graduated from South Portland High School (Class of 1944). He then entered Bowdoin College (Class of 1948) at age 16. Following Bowdoin, he entered the U.S. Military Academy at West Point (Class of 1950). At Bowdoin, he was a member of Zeta Psi fraternity. He was a past President of the Maine Antiquarian Bookseller's Association and a member of the Antiquarian Booksellers Association of America. Reg immensely enjoyed horseback riding and was the Maine State Grand Champion in horsemanship at the age of 12. He attended the Lipizzaner Riding School in Salzburg , Austria and the French Riding School in Paris. He rode until the age of 83 and loved it. Reg was devoted to the performing arts, producing, directing, and acting in classic and musical theater. During his Bowdoin and West Point days, one could often find Reg playing the organ and pealing the bells in the chapels, and entertaining requests from up and down the Hudson River. In recent years, Reg played the piano for Piper Shores residents, friends and family. While he took a break from his musical endeavors, Reg loved reading, world travel and was fluent in Spanish, French, Italian, and German. Colonel Lombard's military career spanned 34 years, including 12 overseas. He was a Combat Infantry Officer and a master paratrooper. He served in Korea , Vietnam (First Air Cavalry Div. ), Thailand , Cambodia , Egypt , France , Germany , Italy , Spain , and Austria. In Cambodia , he supervised the successful American evacuation of Phnom Penh , two weeks before the fall of Saigon. In Egypt , he was one of the founders of the Sinai Peace Keeping Force. Career highlights include organizing the ninth Conference of the American Armies and graduating from the French Army War College (Ecole Superieure de Guerre) where he earned the coveted French Army paratrooper's badge. Colonel Lombard completed his career as Dean of the National War College in Washington , D.C. for five years. His military awards include three Legions of Merit, the Bronze Star for Valor, five Air medals, and the Department of Defense Superior Service and two Army Commendation medals. After retiring from the military, Reg and his wife, Sally, converted their hobby of collecting rare maps and prints into a successful business. They traveled coast to coast exhibiting at major antique shows and Antiquarian book fairs for 18 years. Reg was predeceased by his parents. He is survived by his wife of 57 years, Sally Cronk Lombard; a son, Terry Lombard and wife Cheryl, a daughter, Kristen Lombard and husband Bill Barry ; grandchildren, Jack Lombard and wife Sadie, Will Lombard and wife Caroline, Shawn Warren, and Anna Lombard and husband Jason McGeachey; and two great-grandchildren, Quentin Lombard and Haisel McGeachey. He is also survived by his sister, Deborah Lombard Brett. A memorial service will be held on Saturday, March 26, at 2 p.m., at Hobbs Funeral Home, 230 Cottage Rd., South Portland.